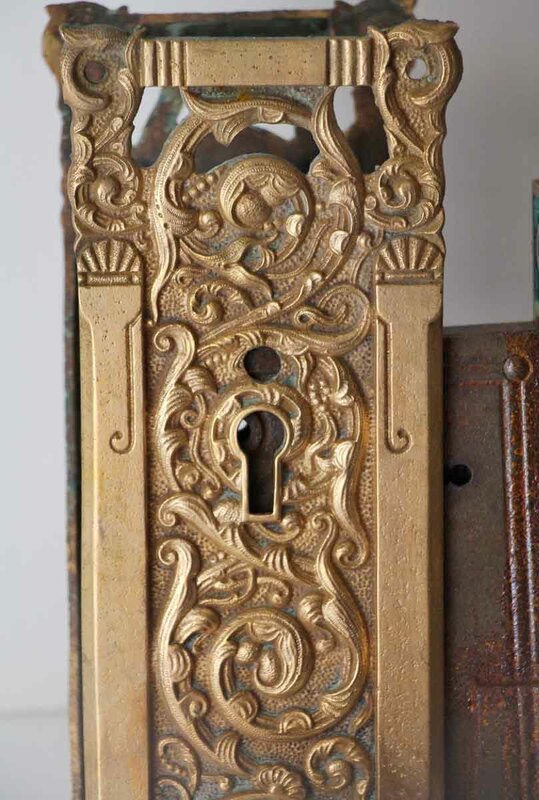 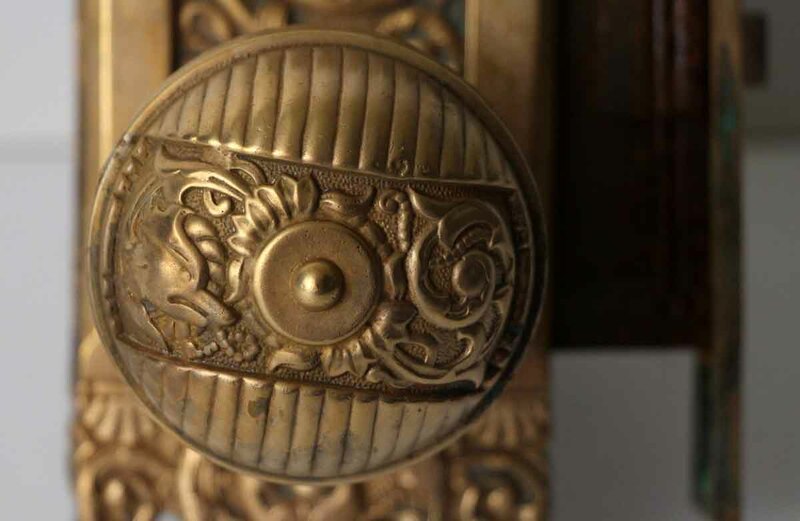 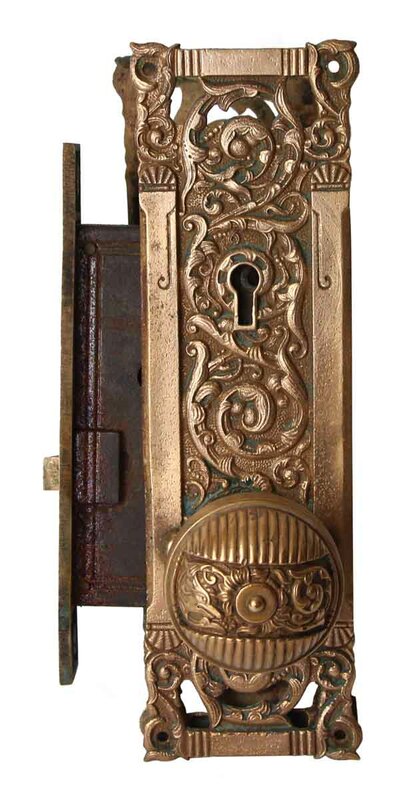 This Italian Renaissance style asymmetrical bronze knob was made by Reading in the 1894 catalog. 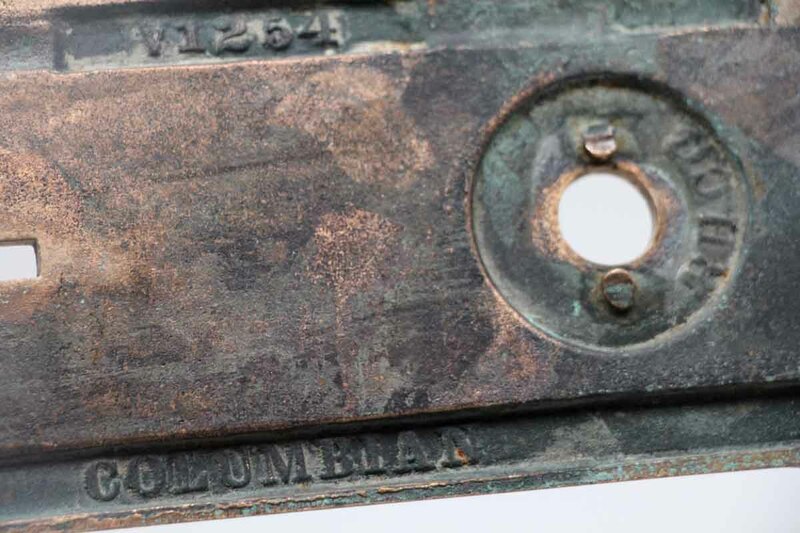 It is part of the B-21400 Columbian group. 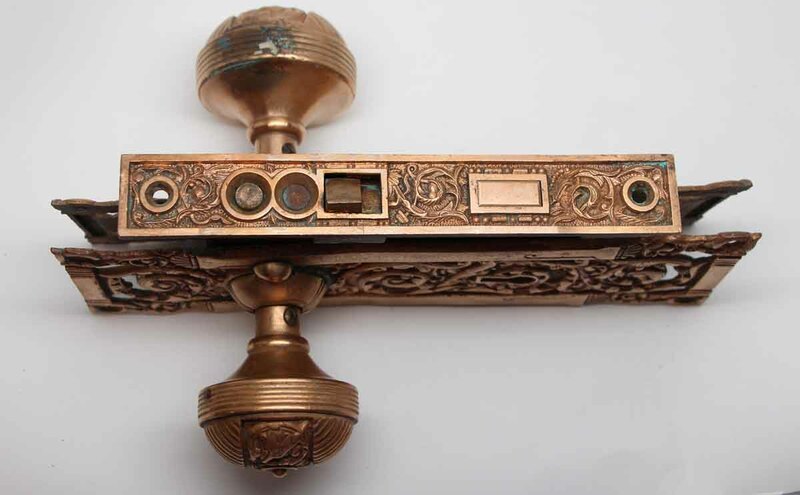 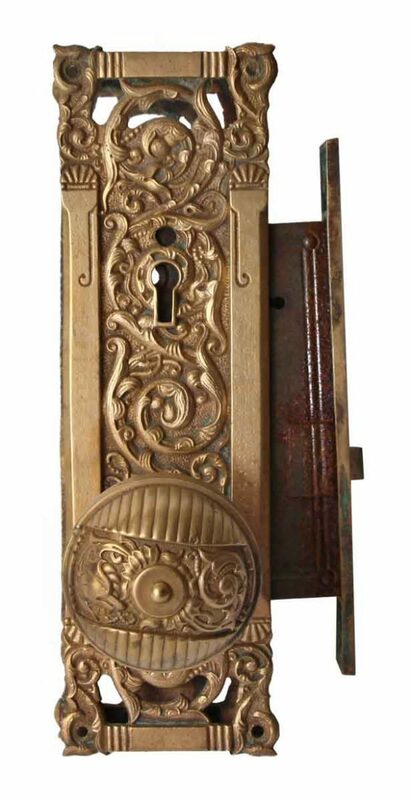 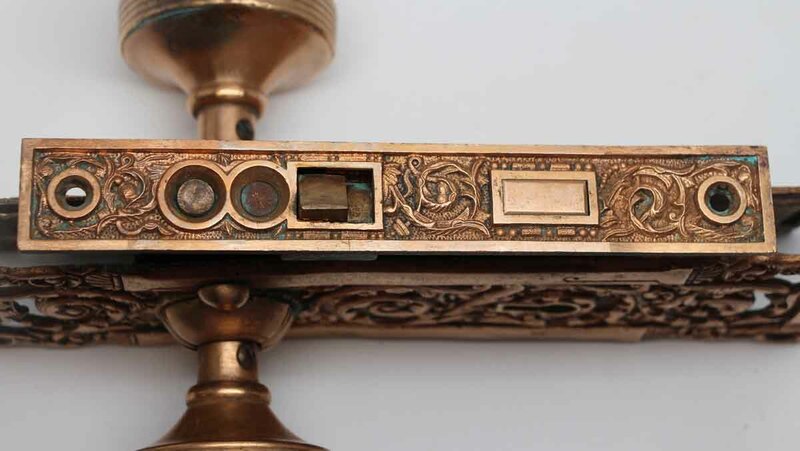 Set includes two knobs with a spindle, two keyhole back plates, one mortise lock and one strike plate.